The current Gladiator range was assembled over the years by Geoff Stratford who sold the business to us in 2016. We expect to have the full range of kits availabe by late 2018. 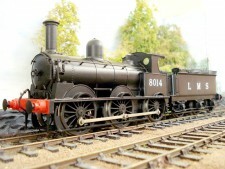 As models are reintroduced they will be announced on the home page. We intend to develop the range once all existing kits are available.